Some believe that it’s impossible to outperform the stock market because its efficiency ensures that share prices always already reflect all relevant information. This theory is known as the efficient market hypothesis (EMH). Anyone who has considered their investment experience will know that reality is very different from the idealisations of the EMH. The market presents exceptional opportunities, which we are constantly evaluating for inclusion in the Sanlam Global Best Ideas Fund. It’s hard to believe that markets priced by imperfect humans can be perfectly efficient. 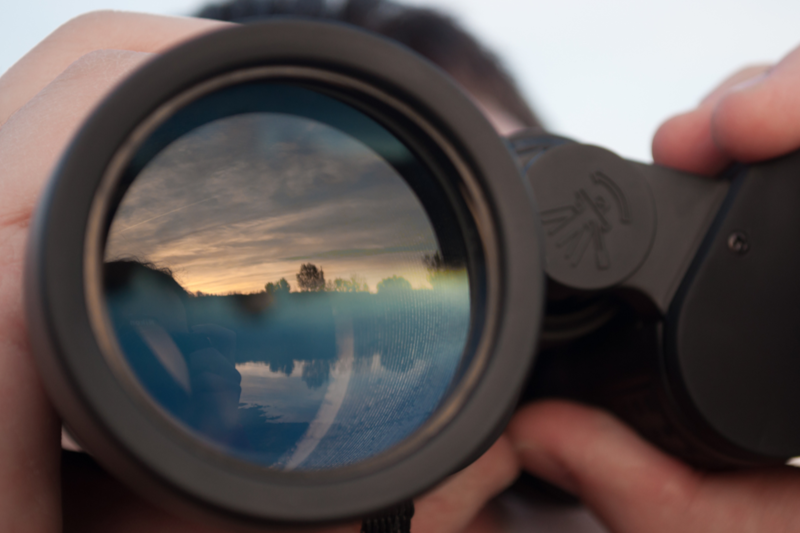 Picture this: You are an energetic, inspired investor eager to begin the hunt for the next opportunity – the overlooked jewel, or the mispriced business with a bright future. But no matter how long you burn the midnight oil, or how far you venture into previously unknown territories, you end up disappointed. You discover that every potential opportunity has already been taken and is already properly priced and fully appreciated by a perfectly efficient market. No matter how hard you crunch the numbers, the market price simply doesn’t provide the investment opportunity you were hoping for – it’s always too close to your estimate of intrinsic value. This kind of investment world reflects the EMH story quite well. The real investment world, however, is run by human beings who daily experience a host of emotions such as inspiration, joy, fear and greed. These imperfect beings are the ones making prices (for now, anyway), participating in markets, and making judgements. It is them we must thank for exceptional and rare opportunities. Let’s explain this in more detail. There are three types of investment opportunities that can potentially offer exceptional returns. 1. Businesses that have a competitive advantage that is stable and therefore hard for others to mimic. These are companies with ‘wide moats’, according to popular financial jargon. They are perhaps the investments that make our job as investors most enjoyable. Who wouldn’t delight in discovering and then understanding the resourcefulness, the fresh thinking and the pioneering instincts that invariably produce enterprises with unique propositions? It’s literally studying human ingenuity in action. After all, these are the organisations that help drive progress. Examples of such businesses are ASML and Nielsen, both of which are held in the Sanlam Global Best Ideas Fund. ASML is a Dutch company that is currently the largest supplier in the world of photolithography systems for the semiconductor industry. The company manufactures machines to produce integrated circuits. It has developed unique instruments for integrated circuit miniaturisation. Nielsen remains the industry standard in market share and audience measurement technology. 2. Businesses that haven’t been discovered by the market at large. These businesses have been neglected either because of their small size, their geographical remoteness, or because they are pioneers in completely new and poorly understood endeavours. Many of the financial holdings in the Sanlam Global Best Ideas Fund are of this variety. The fund and its investors are able to leverage off the research of Kokkie Kooyman and his team, who are masters at uncovering these kinds of companies. Credicorp, a Peruvian financial services group, is a good example of this type of business that has helped to enhance the performance of the Sanlam Global Best Ideas Fund. The company commands a dominant position in the Peruvian banking sector, which is characterised by low penetration, high market concentration and strong profitability. Credicorp is engaged primarily in commercial banking, insurance, investment banking and pension fund businesses. 3. Businesses that are so unpopular that they are priced for a bad (but statistically unlikely) future. These businesses have gone through a bad patch and are now seen as permanently damaged, despite overwhelming evidence that most of such company lows are cyclical. 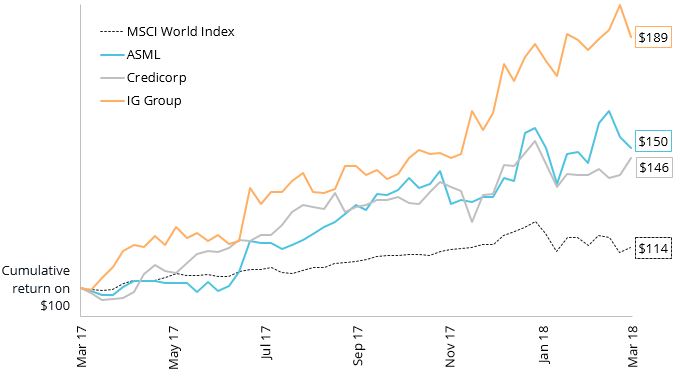 Some of our better performers in 2017 have come from this class of uncommon investment, such as homebuilders NVR in the US and Taylor Wimpey in the UK, and the online trading platform IG Group. IG Group’s share price almost halved in December of 2016, after new regulations were proposed for retail traders in the UK. The market took fright, but this panic turned out to be an opportunity for investors who kept their cool about the likely effect of such regulations on IG’s bottom line. On a total return basis, the share price has since risen by well over 100%, and by some 89% over the last year. Exceptional companies are often priced incorrectly by less-than-perfectly-rational humans. To identify these companies for inclusion in our investment universe, we are required to be more rational than the people who are currently making the price. It’s not easy, but we hope that we’ve proven that it’s possible. The important thing is to consistently apply the discipline of unemotional, fact-seeking, objective thought, together with a strong dose of patience. We use this discipline to discover exceptional businesses where others may only see what the current mood of the market allows them to see. In fact, exceptional, rare businesses will invariably present themselves if you are able to ignore the herd’s opinions of the day. The Sanlam Global Best Ideas Fund aims to provide long-term capital growth by investing in global equities identified as being undervalued and offering above-average growth potential. Click here for the latest fund fact sheet. SCI stands for Sanlam Collective Investments. SIM stands for Sanlam Investment Management. The fund’s risk profile is aggressive, so if you are an existing or potential investor: You can afford to take on a higher level of risk (i.e. will have a greater exposure to equities in your portfolio) because of your investment time horizon, or your appetite for risk. You know that in taking the risk, you need to be patient if you want to achieve the results. So you are willing to invest for the long-term and are prepared to tolerate some volatility in the short term, in anticipation of the higher returns you expect to receive in five years or beyond. The Sanlam Global Best Ideas Fund is managed by Sanlam Asset Management (Ireland) Limited, Beech House, Beech Hill Road, Dublin 4, Ireland, Tel +353 1 205 3510, Fax +353 1 205 3521 which is authorised by the Central Bank of Ireland, as a UCITS IV Management Company & Alternative Investment Fund Manager and is licensed as a Financial Service Provider in terms of Section 8 of the South African FAIS Act of 2002. Denker Capital is an authorised Financial Services Provider and the Investment Manager responsible for managing the Fund’s investments. The Sanlam Universal Funds Plc full prospectus, the Fund supplement, the MDD and Key Investor Information document (KIID)is available free of charge from the Manager, the Investment Manager or at www.sanlam.ie. Any offering is made only pursuant to the relevant offering document, together with the current financial statements of the relevant fund, and the relevant subscription application forms, all of which must be read in their entirety together with the Prospectus, Supplements and the KIID. No offer to purchase securities will be made or accepted prior to receipt by the offeree of these documents, and the completion of all appropriate documentation. This is a Section 65 approved fund under the Collective Investment Schemes Control Act 45, 2002 (CISCA). Sanlam Collective Investments (RF) (Pty) Ltd is the South African Representative Office for this fund. Collective investment schemes are generally medium- to long-term investments. Past performance is not necessarily a guide to future performance, and that the value of investments / units / unit trusts may go down as well as up. A schedule of fees and charges and maximum commissions is available from the Manager on request. Collective investments are traded at ruling prices and can engage in borrowing and scrip lending. The Manager does not provide any guarantee either with respect to the capital or the return of a portfolio. The manager has the right to close the portfolio to new investors in order to manager it more efficiently in accordance with its mandate. International investments or investments in foreign securities could be accompanied by additional risks such as potential constraints on liquidity and repatriation of funds, macroeconomic risk, political risk, foreign exchange risk, tax risk, settlement risk as well as potential limitations on the availability of market information. Changes in exchange rates may have an adverse effect on the value, price or income of the product. Performance is based on NAV to NAV calculations with income reinvestments done on the ex-div date. Performance is calculated for the portfolio and the individual investor performance may differ as a result of initial fees, actual investment date, date of reinvestment and dividend withholding tax. Forward pricing is used. The performance of the portfolio depends on the underlying assets and variable market factors. Trail commission and incentives may be paid and are for the account of the Manager. Performance figures for periods longer than 12 months are annualised. The performance fee is accrued daily, based on performance over a rolling 6 month period with payment to the manager being made bi-annually. Pierre joined the team in 2015 and is co-manager of the Sanlam Global Best Ideas Fund. 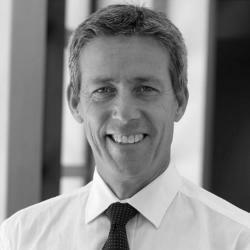 He started his investment career doing mergers and acquisitions work for Engen Petroleum in the mid-nineties. Pierre joined Prudential Portfolio Managers in 1998 before participating in the establishment of African Harvest Fund Managers, where he became a portfolio manager in 2002. He was a founding member of Orthogonal Investments, a boutique asset manager which started in 2007 and was sold to Citadel Wealth Management in 2011. Pierre was instrumental in setting up the in-house equity business at Citadel, where he and his team managed both domestic and global funds on behalf of clients.